It was a glorious summer for Itera Research. 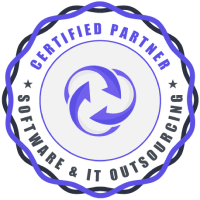 Numerous high-quality solutions were created for our clients, new business relations were built, and we made further steps towards professional improvement. One of these steps was the attendance of IoT Tech Expo Amsterdam 2018. It was an outstanding experience, and we would like to share our impressions with you. IoT Tech Expo is one of the greatest in IoT world event. The topics were quite different. Smart buildings and intelligent transport along with connected supply chain improvement were discussed. It makes sense to particularly emphasize the topics devoted to management. The speakers highlighted IoT devices management, including smart grid data management, asset monitoring, analytics building, etc. The speakers have also described a lot about data privacy and security, and IoT apps development itself. Great new solutions for industries like Energy, Transport and Logistics, Insurance, Healthcare, Government, etc. were highlighted. The point is to constantly increase the awareness about modern tools and technologies. This is what our company is keen on; this is what we have been doing daily for years. The IoT Tech Expo Exhibition is the place where we heard much about IoT application development, new approaches and methodologies in this aspect. Particularly, we were interested in data transfer cost minimization. If it goes about international data exchange, this type of services is quite expensive. So we were actively looking for ways to solve this issue as well as for partners who share our interests. Another interesting thing is Smart City solutions implementation in Northern European countries. What is the government’s role in this process? What type of programs is the most actionable? There are tons of questions and we are looking for the answers. Networking with the business owners who are the experts in these topics was extremely useful. Besides, it turned out that solutions we develop for the local market are in high demand in the Netherlands and other European countries. Great things highlighted by great people – this is the top reason for the attendees to visit a conference. IoT Tech Expo is no exception. We have not expected to face such a great number of international SIM card solutions! The number and quality of solutions increases, but there is still a need to make them cheaper. The event was devoted to the IoT mainly. So imagine our surprise when we have noticed plenty of blockchain startups! Of course, these 2 directions may be connected. But we did not expect blockchain to occupy so much territory and win so much attention. Data security always deserves exceptional attention. Here, we took part in the discussions about data transfer and storage security, IoT solutions vulnerability, etc. The number of IoT solutions increases, and at the same time, the number of potential sources of danger multiplies. Great convenience. This is what built the basis of our positive impressions. We would like to emphasize both the organization and supportive apps. The pleasant experience started with no queue, nervous managers, crowd or noise. We are grateful for all the efforts organizers have devoted to making these 2 days so nice for us. Organization tools were awesome. The applications worked seamlessly and helped us with navigation, networking, and general information about each component of the exhibition. We can say that they worked even better than those used at much bigger events like TheNextWeb or WebSummit! Great job! 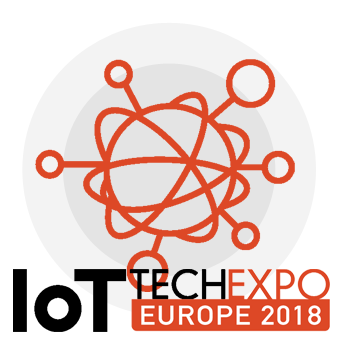 The IoT Tech Expo Amsterdam 2018 was organized in a way that was excellent for live communication and networking. Beautiful Amsterdam canals, cosy bar, delicious food and beverages contributed to the overall atmosphere. The number of IoT startupers and investors grows annually. People who start investing in this direction lose their interest in other industries. The IoT topic wins the attention. This is one of the most profitable directions nowadays. And in this niche, each startup can find its place. The ecosystem is actively growing. And we are glad to contribute to the global changes.